Caodaism Followers - What many Caodaists are there? Where do they live? It is difficult to estimate the precise number of Cao Dai adherents. Estimates range from about 2 million to in excess of 6 million according to some Cao Dai sources, or even 8 million according to one source. 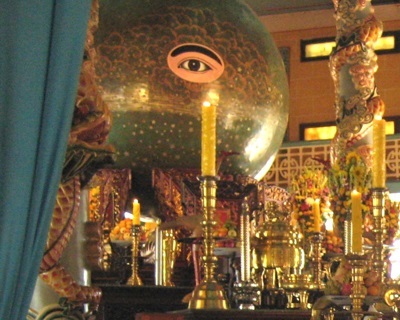 The country with by far the largest number of Caodaists is Vietnam, where the religion was first founded in 1926. 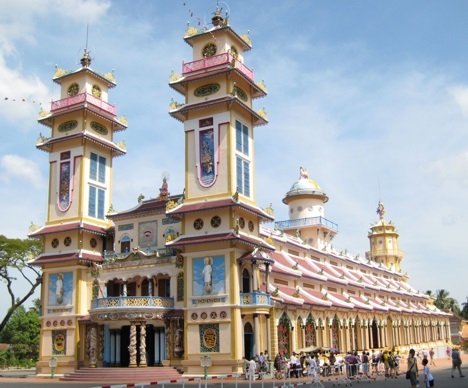 During the period 1975 to 1997, Cao Dai was legally proscribed in Vietnam, so this may contribute to the difficulty of making estimates. Emigration as a result of the Vietnam War and its aftermath, resulted in the establishment of ethnic Vietnamese communities in many countries around the globe. Today there are Caodaists in many countries including Australia, Canada, European countries, and the United States of America. The largest population of Caodaists outside of Vietnam is probably in the United States of America. It has been estimated that there approximately 20,000 Caodaists living in the US.